New idiot.io Workshop BRVBOT 2019!! 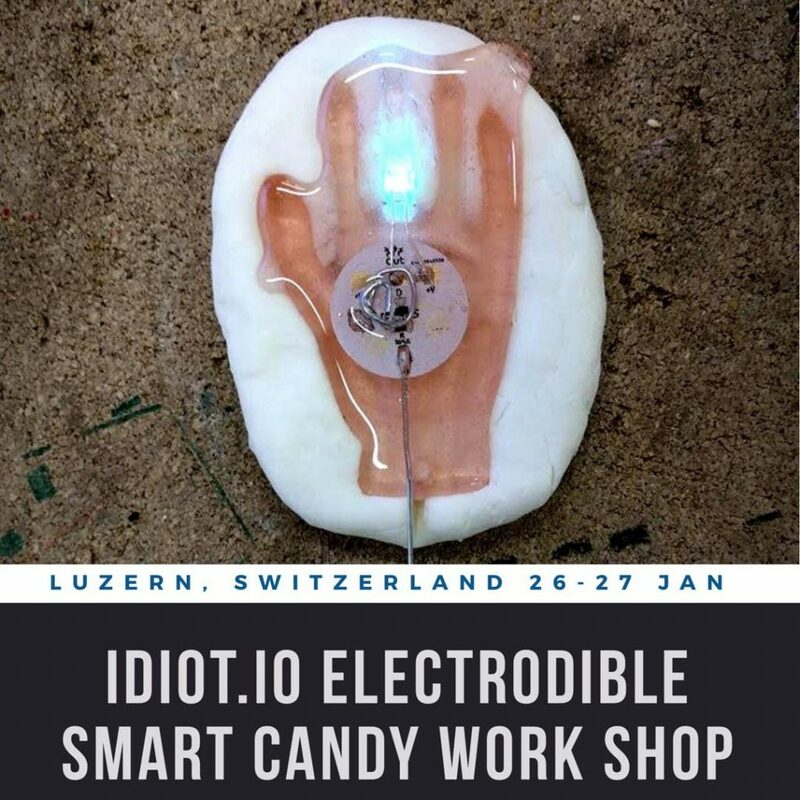 coming up: idiot.io swiss funtime!! @ sgmk-on-tour-001-visit-to-laborluzern! 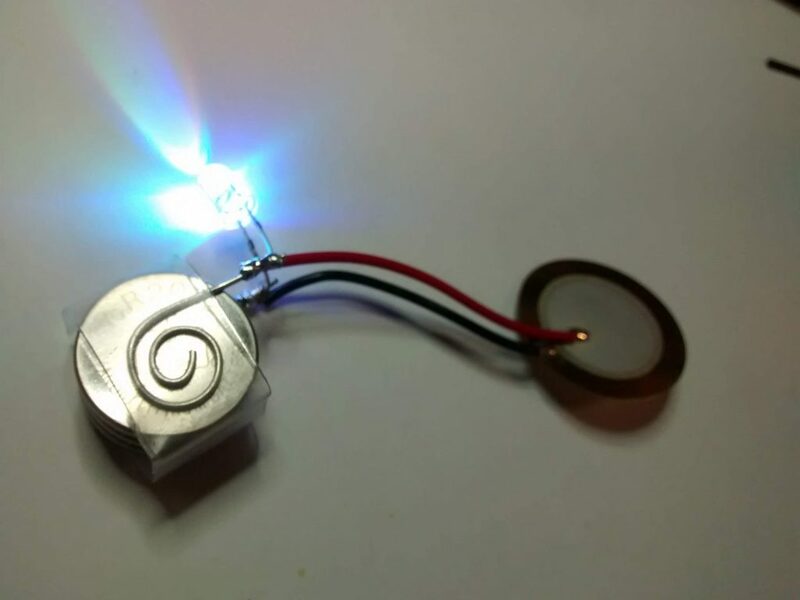 electrodibles and more stuff powered by idiots.io. 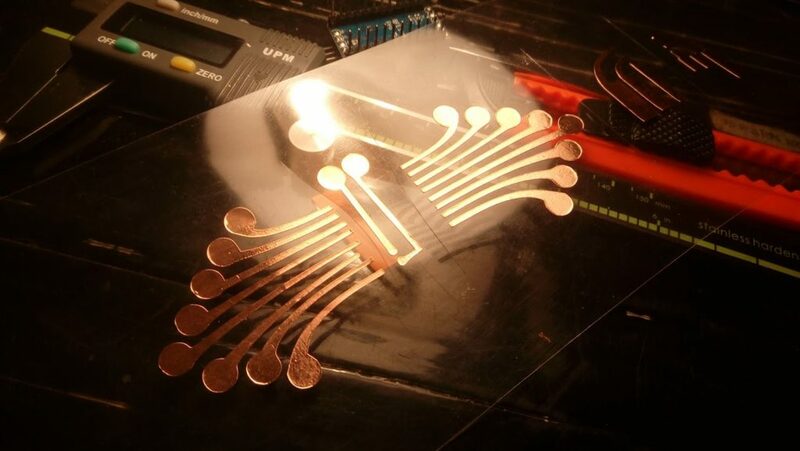 in this paper we describe a simple DIY design and fabrication methods for creating flexible electronic circuits, MCU & sensors interfaces, traces and connectors. our aim is to bridge the gap between the hardware and the softWARE. using commonly available tools . Stellar CupCake Synth is the simplest sound generating circuit .based on a Flashing LED as the sound source. 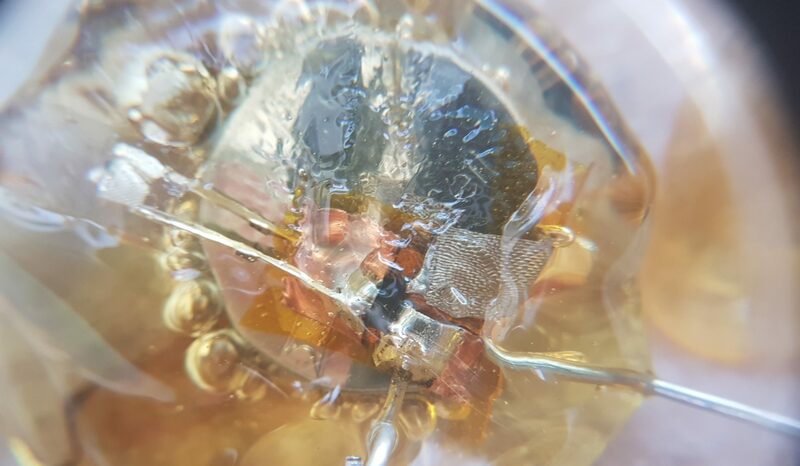 This kind of LED comes with a tiny built in MCU that generates PWM sequences.The Piezo element acts as the output speaker of LED signals .the Cupcake is used for amplification.Stellar CupCake Synth was created last summer at PIFcamp 2017 in slovenia. our talk on electro-embedded-candy from #34c3 is online for a few days now, some of us were too scared to watch, but now i did me think we didn’t mess it up too much and it is shareable. we had a live cooking show going on stage which made for lots of backstage drama, that went unrecorded, fortunately(? ).